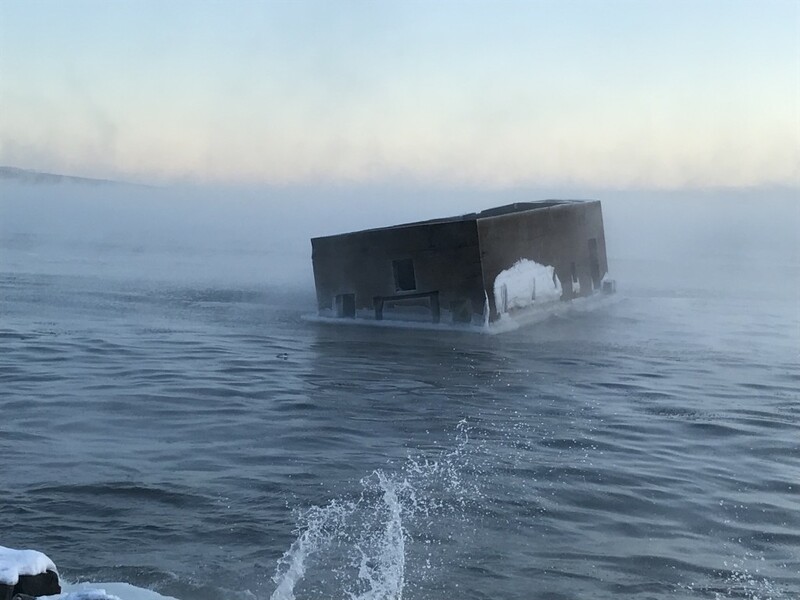 Often times during a boom period, things are built with the high hopes and aspirations of fortune; when the boom dies down (or the project itself is unfeasible), we are left with abandoned things, like the curious “Cribs” structure, also known as Uncle Harvey’s Mausoleum. 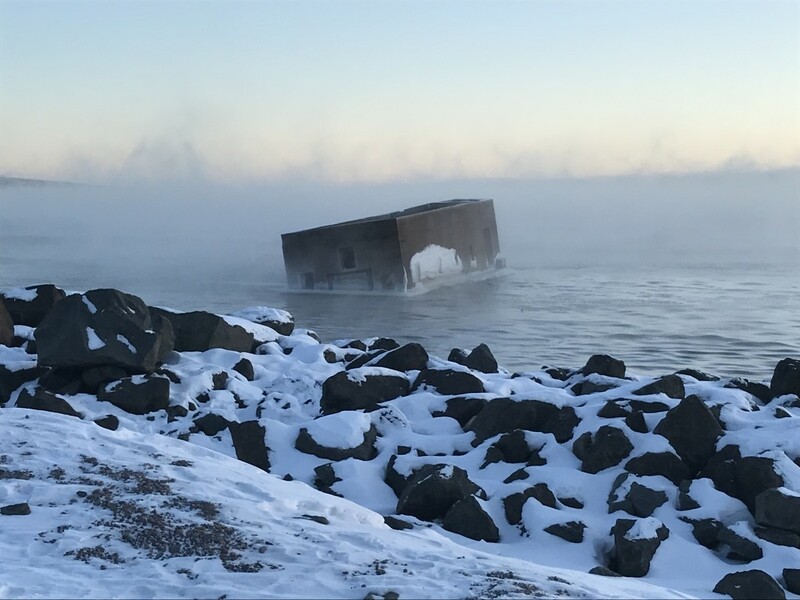 Sitting about 50 feet off the shore of Duluth’s Canal Park in Lake Superior, the puzzling block of concrete looks like a house without a roof, off-kilter and not going anywhere anytime soon. In warmer months, brave souls swim out to it and climb to the top; winter months allow adventurers to walk right up to it on the frozen ice. 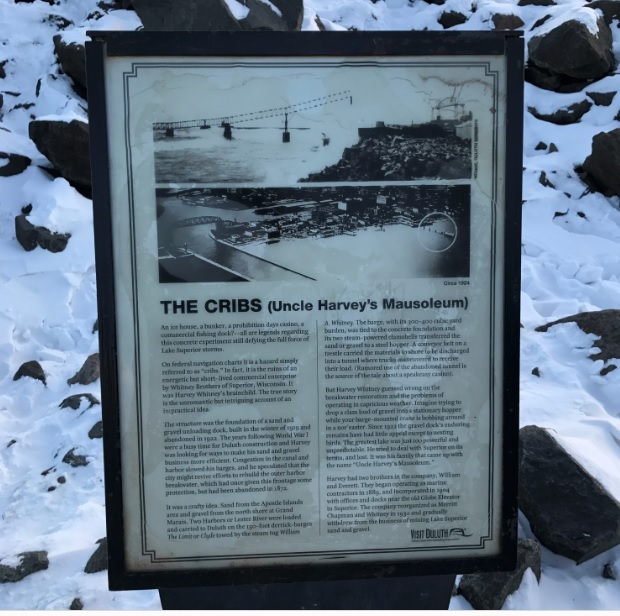 Around 1919, the port city of Duluth was seeing a very prosperous time, and a local businessman who dealt in building materials named Harvey Whitney had the idea to bypass the traditional docking wait lines in Duluth’s harbor by building his own structure. The concept essentially allowed barges to offload sand and gravel into a cement hopper (or “crib”), and ship it to shore via a conveyor belt system. Unfortunately, his project was never sufficient. 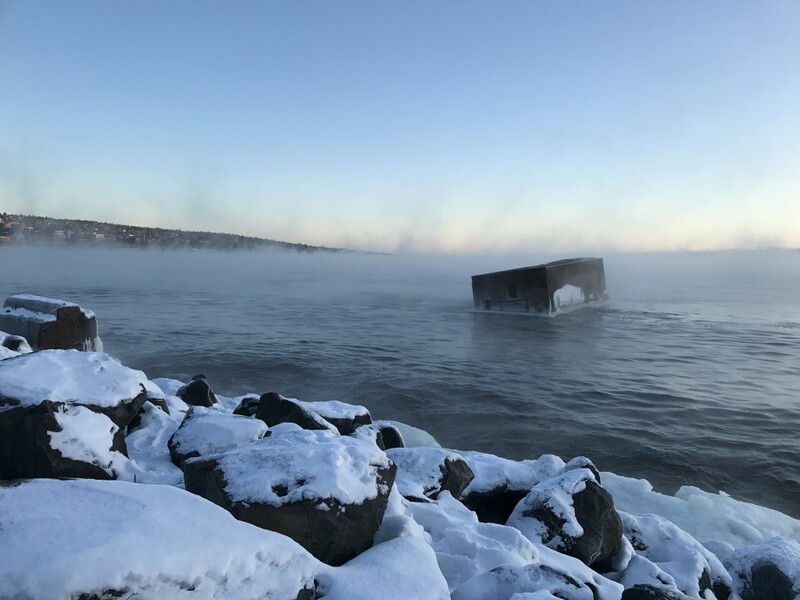 The wild, unpredictable Lake Superior and its monster waves, storms, and squalls made it incredibly difficult for commercial freighters to get close enough to unload at the hopper. 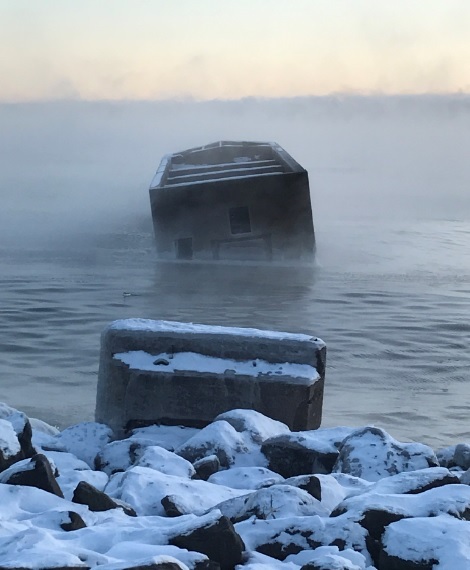 The hopper and surrounding structures also took a beating, due to the fact that there was no outer harbor wall to protect it. The idea and process was abandoned after only a couple years, and it soon became known as Uncle Harvey’s Mausoleum, due to the fact that his investment was all but dead. The concrete ruins are still there, 100 years later, although most of the pylons for the conveyor belt are gone and the hopper is sitting askew in the water. Many rumors over the years told a different tale of its origin; some stated it was an illegal casino or speakeasy during prohibition, others surmised it was a military bunker. But the story and original photos of the operation can be found on an informational plaque on the boardwalk along the shoreline in front of it. It’s just one of the countless curiosities of Duluth. 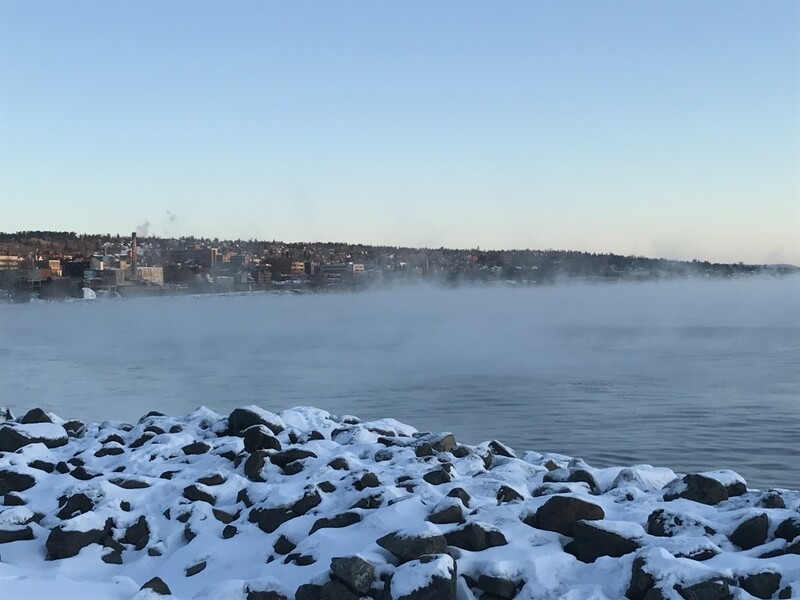 While in the area: Duluth’s Canal Park is fun to explore, with the Aerial Lift Bridge and nautical-themed stuff like anchors and propellers on display nearby, but the hidden gems in Duluth are things like the Graffiti Graveyard, Enger Tower, and the stone bridges of the Seven Bridges Road off of Skyline Parkway. There is a map to Boulder Lake near the bottom of my Northern Lights page accessed from this blog”s menu bar. From the Miller Hill Mall area of Duluth on Hwy#53 the drive would be about 1/2 hour. Even with staying down by the lake, the drive would not be much longer. Boulder Lake is a great viewing spot due to its dark skies no cabins, just a state forest to the north. 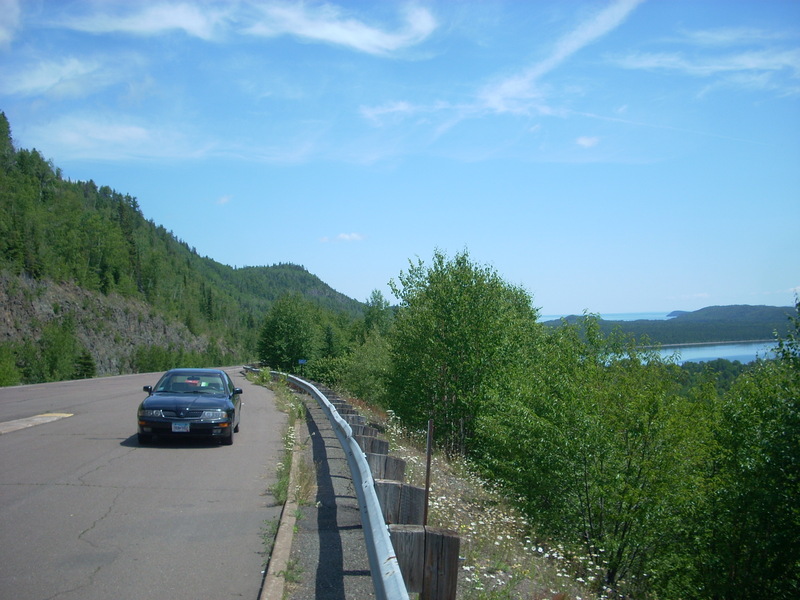 Although not quite as dark, there is a resort in Two Harbors (25 miles NE of Duluth) where one has nice views to the NE right from their guest rooms, Superior Shores Resort.